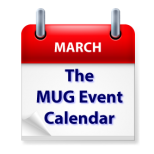 A visit by technology journalist Walt Mossberg is at the top of this week’s MUG Event Calendar coming attractions. Apple Senior Systems Engineer Aaron Davis will visit a Maryland group, Quicken will be discussed at a California group and the benefits of FileMaker 14 will be covered by an Australia group. Other topics on tap for the week include El Capitan, a special screening of “Circus Without Borders, and protecting your Mac from malware. Why yes, your group’s events could appear on The MUG Event Calendar if you make a little effort. Put a note on your schedule for the first of the month and email the details of your next meeting to The MUG Center. The Villages Apple User Group – Should you be taking action to protect your Mac, iPhone and iPad from viruses, worms, trojan horses, spyware and other malware? And, if so, what actions can you take?